Twin lens reflex, big and heavy, launched in 1969, it was an improvement from the previous Mamiya C33 which was still heavier. As there were far less cameras in the TLR category than in others, like SLR or Rangefinders, this one was and is often compared with the glamorous Rolleiflex. Well, I think they only share the TLR concept. 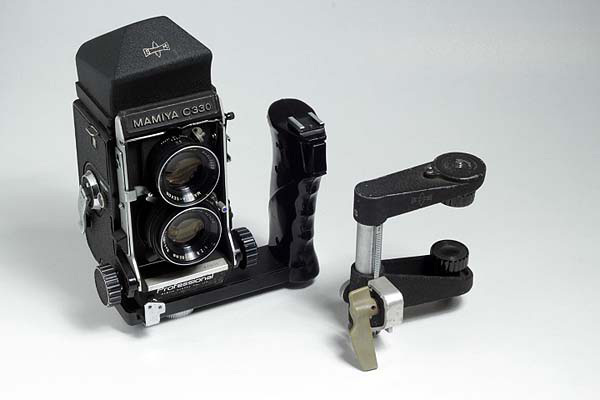 The Mamiya, is far less elegant, indeed, but it was clearly designed to be simple, reliable and flexible. 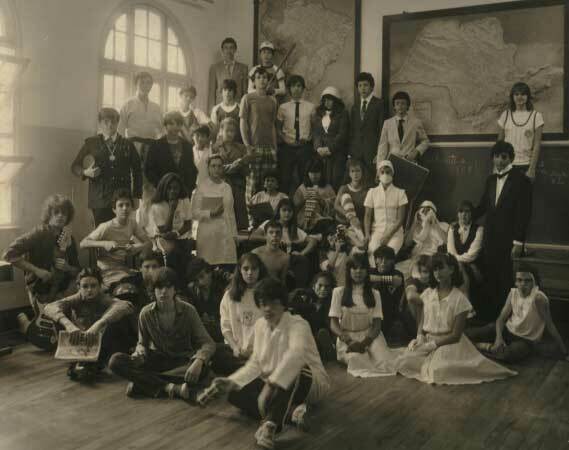 It accomplished very well all of them. 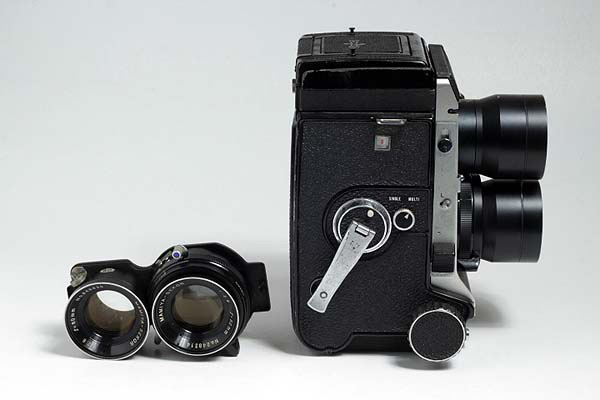 Nothing is more revealing of the autonomous identity of the Mamiya in regards to Rolleiflexes than the fact that it uses a bellows, rack and pinion focusing system. 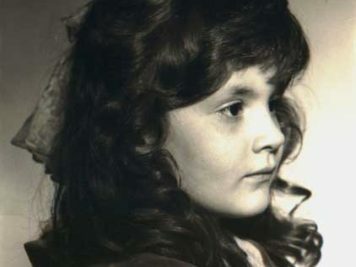 The story is told that Reinhold Heidecke had exactly a “bellows free” camera in mind with he conceived the Rolleiflex, back in 1916, because he had a problem with a Kodak folding camera. 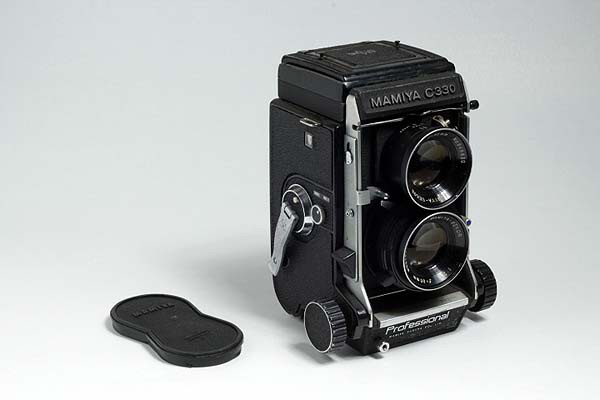 The Mamiya C330 is a good camera providing 6×6 negatives with interchangeable good quality lenses. 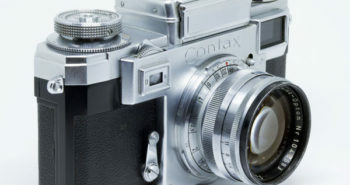 I bought this one in 1987 for professional work as many photographers with low budget did. 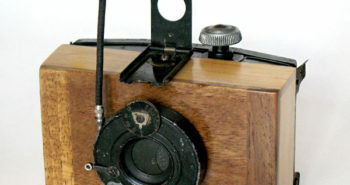 For action pictures there is a porrofinder that you mount over the ground glass and have an instant left-right corrected image. 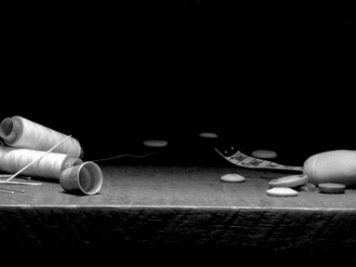 For still life work, there is a parallax corrector mounted over a tripod that (once you have framed the subject) allows you to lift the camera in a way that the taking lens will come exactly to the previous position of the viewing lens. 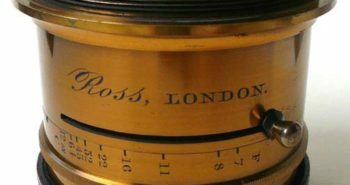 It has also a needle that slides down under the ground glass as you focus closer. That shows you the actual top of your picture. That is the fast way to avoid parallax error. Of course you can’t see then the bottom of you picture by the same amount. 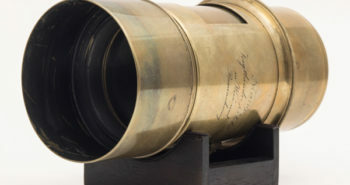 The bellows extends enormously for close-ups. 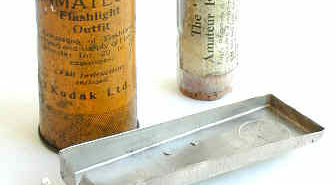 It is really a performing instrument but design was not a priority. On top of the normal lens 80 mm f2.8, there is a range from 55 to 250. 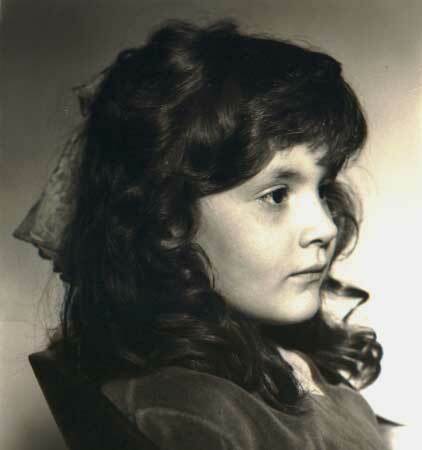 I have, as an extra, the 135 mm f4.5, and it is a very good portrait lens. 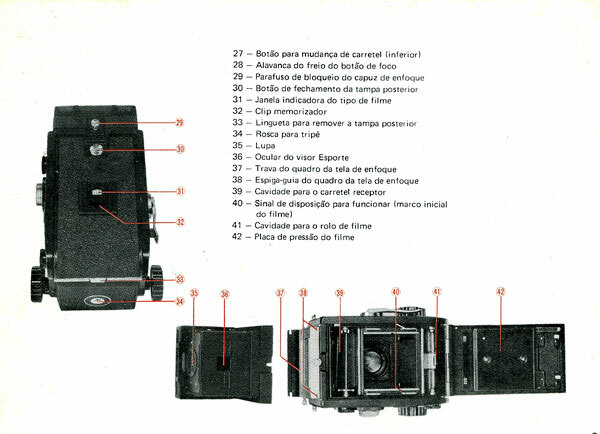 I think it sold well in Brazil because when I bought it, it was already an old camera, at that time the medium format SLRs were the professional choice, but I received an original manual in Portuguese. 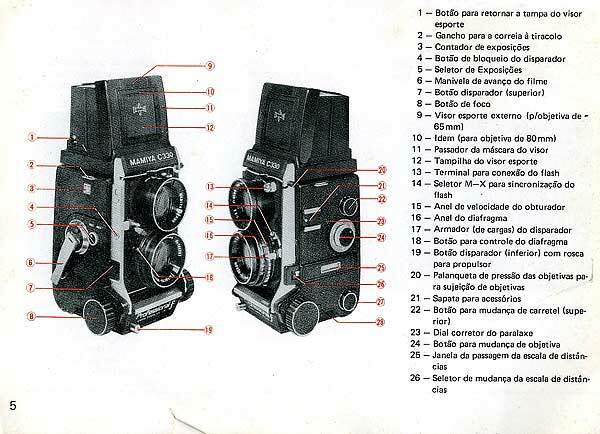 I added two pages of it showing the camera parts. 3 pictures taken with this camera.